I have been trying to work more fruit into my diet. Pineapple happens to be one of my new favorite fruit, but sometimes I cannot finish them all after opening a can. So, I decided to start using the leftovers for a facial treatment! Pineapple has a natural enzyme, like papaya. This enzyme is called bromelain, it exfoliates and sheds away dead skin. 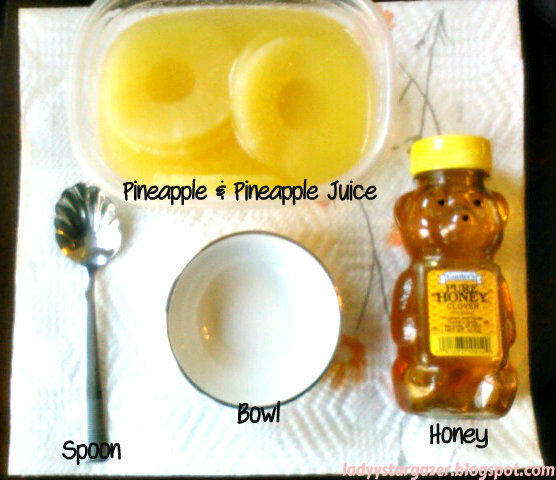 I decided to use canned pineapples with no added sugar. This would work equally, if not better, with a fresh pineapple. 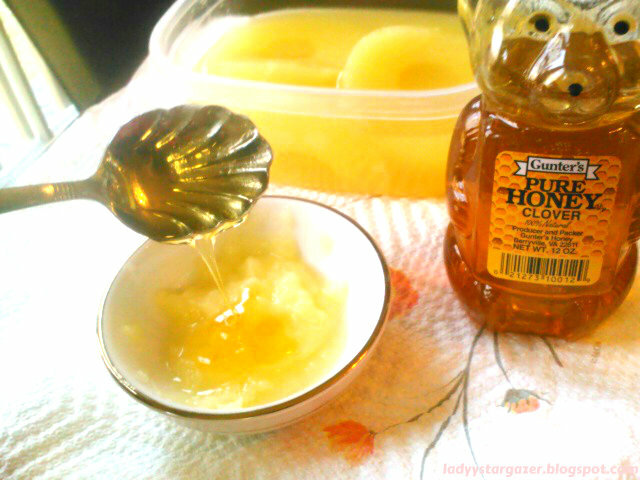 Honey is a natural humectant, and leaves your face soft. Then the loveliest fact about honey, is it's an antibacterial. Yes, my acne people, we can smother this awesome stuff on our skin as a home treatment for those little buggers that annoy our face. I looked more into honey here. I found out it is an antiseptic that turns into hydrogen peroxide when broken down with water. Enough explanation, onto the tutorial! 1. 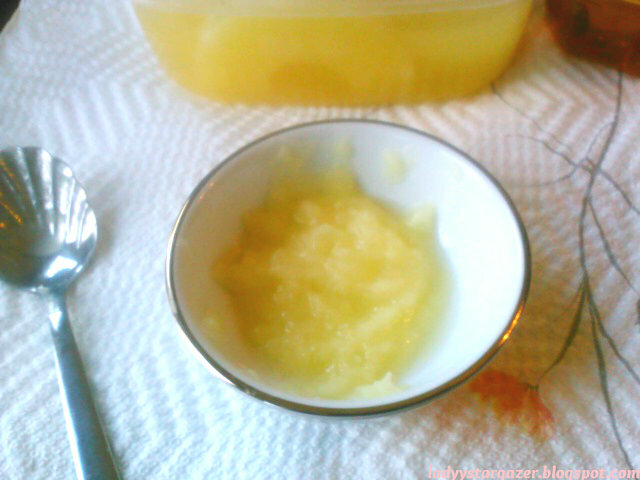 Blend your pineapple flesh up until you reach an almost applesauce consistency. I used only one ring of pineapple to make this amount. I wanted to just pick the spoon up, and eat this. 2. Add in your honey. 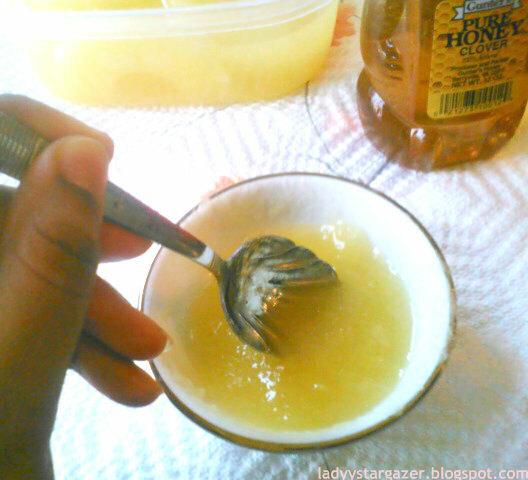 I used about 2 spoonfuls to make it thicken up enough to stay on my face. 4. After lightly cleansing, apply to your face, and leave on for at least 15 min. I opted to use my fingers, and applied it in circular motions before letting it sit. 5. Wash off with warm water. 1. 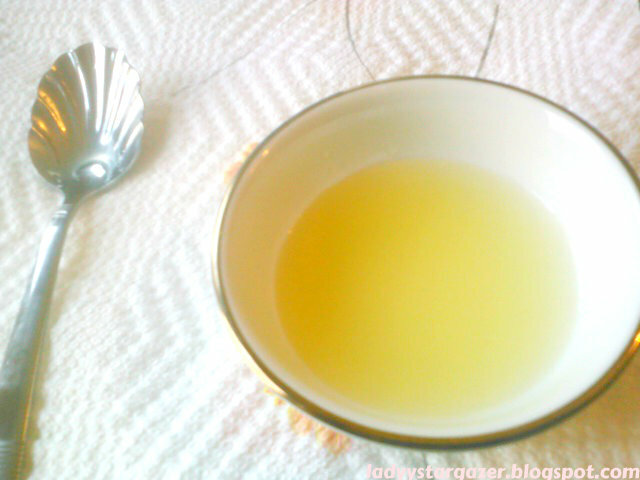 Pour a little of the pineapple juice into your bowl. 2. 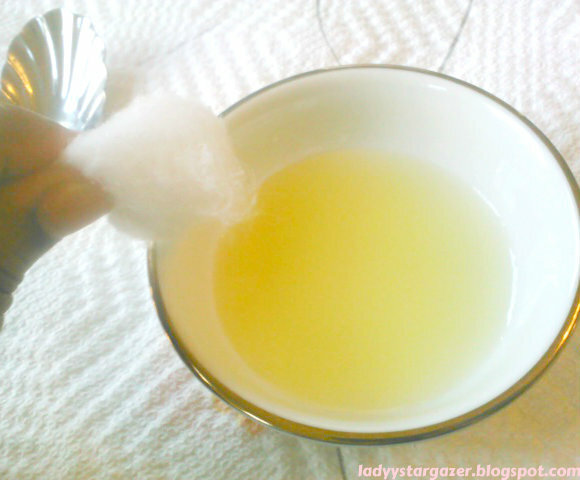 Use your cotton ball to spread the pineapple juice on your face and neck. 3. Leave on for around 5 min, and then wash off with cool water. This treatment should leave your face feeling fresh and moisturized! I've been breaking out alot in the past 2 days, and fellow acne suffers know it can be painful sometimes. This mask and toner did not burn or irritate my skin or blemishes. My face actually felt very soothed, and did not dry out as harshly as it usually would after cleansing my face. I definitely will be trying to do this at least twice a week. ~ As always, thanks for reading. thank you for posting this, I've quite a bit of acne these days. I will try it out. No problem, let me know if you like it or not (✿◠‿◠). My Birthday Is In 8 Days!